The start of the game had been delayed 2 hours 50 minutes by rain, giving Fowler a brief breather from a harried call-up. 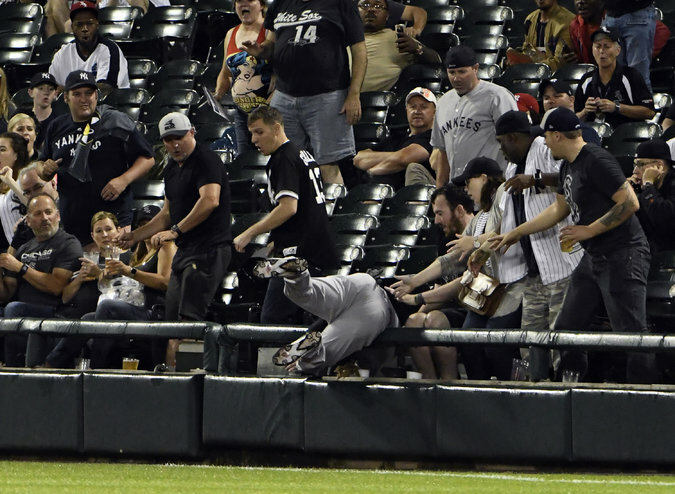 Fowler had been trying to catch a foul ball in the White Sox’ Guaranteed Rate Field when he was injured. He had been called up from Triple AAA Scranton/Wilkes-Barre earlier Thursday. Fowler arrived in the Yankees’ clubhouse at 4:30 p.m. after sitting in a cab for 90 minutes, stuck in rush-hour traffic between O’Hare International Airport and Guaranteed Rate Field.